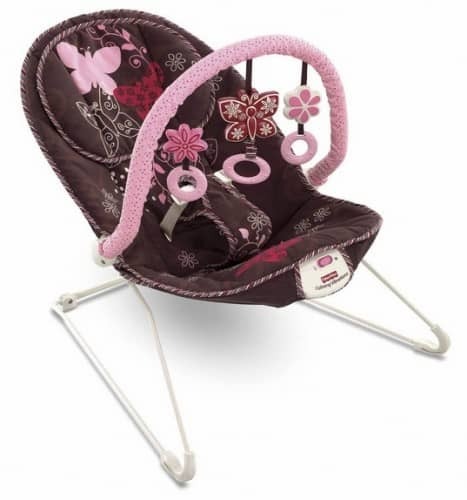 Save 35% on the Fisher-Price Mocha Butterfly Comfy Time Bouncer, Free Shipping! The Fisher-Price Mocha Butterfly Comfy Time Bouncer is on sale for $26.00 at Amazon right now. That's 35% off the list price of $39.99! This baby bouncer has an average rating of 4.5 out of 5 possible stars based on 136 customer reviews.